Canon is one of the best brands known in our country when it comes to producing cameras and other video shooting or image snapping equipment. Moreover these days the number of DSLR are increasing at good rate and now Canon not only plans to launch new products for the young budding directors which could suit their pockets (as compared to the professional camera which are available at a very high rate) but they are also planning to conduct workshops in different parts of the country throughout the country which is really a great initiative is boosting their brand value. The 2 compact camera which have been launched today are PS SX170 and PS S200 of which the first one is available at the price of 12,995 INR. 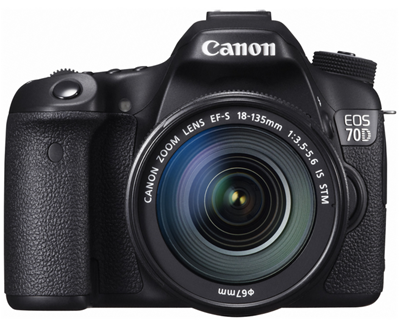 Apart from these the main attractions for the camera geeks can be the new DSLR addition which is EOS 70D which comes with the interchangeable camera lenses. This EOS series is one of the mail attractions for the new camera and photography lovers as it covers almost all the specification provided by the expensive professional cameras used for the movie shooting. As far as the workshops are concerned then Canon recently launched an EOS Academy, which will conduct both free and paid workshops (fee will likely to fall between the range of 1500 INR and 2500 INR). These photography workshops will be conducted by a set of experts who will be doing the same thing 100 times a year. The new 70d really appeals as a backup camera.